Where does the Briese name come from? The surname "Briese" is of German origin and we know from 19th century emigration records that most Brieses came from the old Prussian provinces of Brandenburg, Pomerania, East and West Prussia, Posen and Silesia. In modern times, these areas are part of east Germany and northern and western Poland. Most people at one time or another wonder about the meaning of their name, part of an innate curiosity about where we come from and who we are. Can this tell us something more about our ancestors? In the case of the Briese name there is a short answer and a long answer to this question. 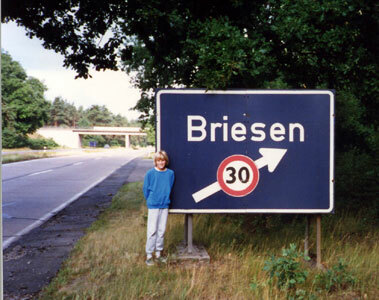 Looking up the meaning of German names 1, we find that Briese is an Ortsname - a place name - of Slavic-German origin. Prior to the 13th century few people in northern Europe had family names and when people began to adopt such names in the middle ages, some folks (our ancestors included) living in a place called Briese took that on as their family name to identify themselves as coming from that place. This means that people taking on the surname were related by location, but not necessarily by blood. Hence, not all Brieses will be related, for example no connection has been found between the five different Briese families that have emigrated to Australia at different times, but more of that in another section. We can actually learn a lot more from the Briese name - in fact it is woven from threads of biogeography, linguistics and the early history of human settlement and movement in Northern Europe. Biogeography: As indicated above, people bearing the name Briese originate from the eastern part of the North German Plain, a lowland region extending from the North Sea to the Baltic Sea southward to the uplands of central Germany. You may have noticed that the logo used on this website is a silver birch tree. 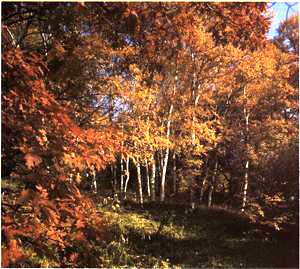 The silver birch (Betula pendula) occurs across northern Europe. It is a tree with shallow spreading roots, silver papery bark and leaves which turn golden in autumn. The last two characteristics make it popular as an ornamental garden tree, the first characteristic makes it successful as an early coloniser of open areas. Groves of silver birches were, and still are, common across the great sandy plains of eastern Germany and Poland. Early Human Settlement 2 : Before the 9th century, German-speaking tribes lived to the west of the Elbe and Saale Rivers (see map below) and Slavonic-speaking tribes lived to the east. From the ninth century on, the Germans gradually expanded into the sparsely populated east, driven by a hunger for new land. While the early parts of this expansion were largely through military conquest, the main period of migration from 1150 to 1400 was mostly peaceful, encouraged by both German rulers and Polish princes, who were keen to adopt German technology and the greater freedom of German political systems. The Slav princes welcomed German entrepreneurs and farmers to develop the vast underpopulated expanses of the eastern part of the North German Plain and the Germans founded many towns and villages in the east during this period. Amongst these colonists would have been the Briese ancestors. 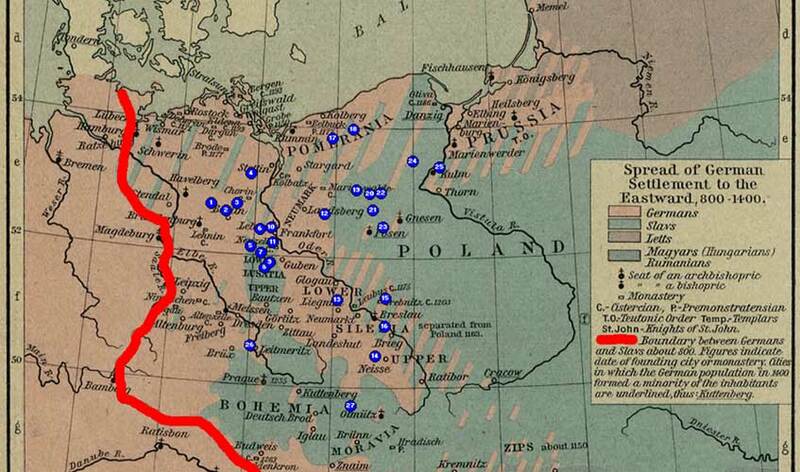 Locations 3 (blue dots) of 27 towns, villages, rivers and lakes whose names are based on "Briese", mapped onto the eastward spread of German settlement in the Middle Ages. The red line is the 9th century boundary between German and Slav tribes. Linguistics 4 : Many places in Europe were named for their physical locality, amongst others an association with the silver birch. Thus, the German word for birch is "Birke" and there are many places in western Germany which derive from this word, while in Slavonic-speaking areas there are many places whose names are based on "breza", the old Slavonic word for birch. We can now use a bit of imagination and take ourselves back to the 12th or 13th century, where a group of new German colonists, had settled in an area where groves of silver birch abound. They would most likely have asked the local Slavs what the place was called. "Breza" would have been the reply. As happened with Australian place names of aboriginal origin, the Germans would have picked up on the sounds and phoneticised the name to their own spelling - "Briese". Place names including variants of this term appeared throughout the eastern regions colonised by Germans 3 (see map above for locations) and reflect the eastward movement of German-speaking people and their interaction with local Slavs. Over centuries the different Slavonic languages evolved and the word for birch changed (see figure below). In areas that are now part of Poland or the Czech Republic, these names have reverted to their more modern Slavonic variants (e.g. 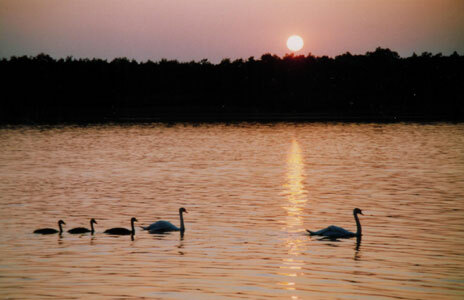 The villages of Briesen in Pomerania and Silesia are now Brzezno and Brzezinka). In short, as the figure above shows "Briese" is the German spelling of an old Slavonic word for the silver birch tree, but it encapsulates the geographic roots and history of our ancestors. In Australia, pronunciation of the Briese name has been anglicised and, rather than the short final "e" of German, the last vowel has either become silent (in the case of the descendants of Johann Ludwig Briese), or changed to a long "ee" sound (in the case of some other unrelated Briese families in North America); one further step in this linguistic path. 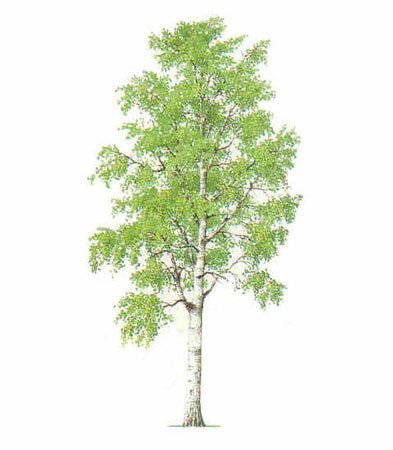 As a symbol for the Briese family, the silver birch is very apt. As mentioned earlier it is a pioneer tree species that colonises new areas, enriches the soil and creates an environment in which a richer and more diverse community can develop and thrive - a bit like our ancestors did as they settled in the east or like Johann Ludwig Briese, when he emigrated to Australia. It is a name to be proud of. 1 Gottschald M. (1954) Deutsche Namenkunde. de Gruyter, Berlin. ..................... Bahlow, H. (1977) Deutsches Namenlexicon. Frankfurt-am-Main. 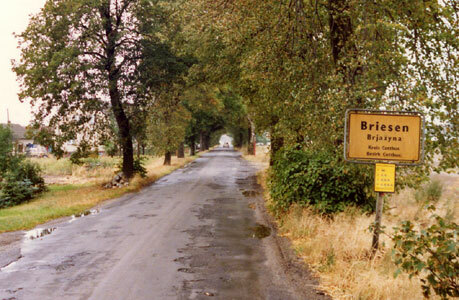 ..There are or were many other variants of place names in these areas, such as Briesnitz, Brieskow, Brieske, Brieselang and Briesenluch. ..Only those in modern Germany have retained their names, and those in Poland and the Czech Republic now have Slavonic names.